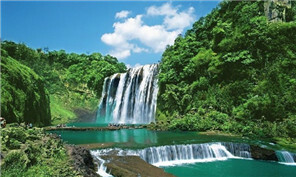 Guizhou province takes advantage of new technology to develop economy, boost employment and combat poverty. Guizhou province accommodated 46.15 million tourists, earning 30.53 billion yuan ($4.63 billion), during China's National Day holiday week. 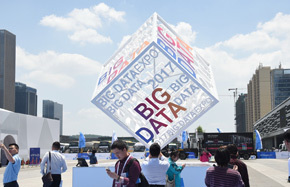 Various cutting-edge technologies are available at the 2017 China International Big Data Expo in Guiyang, capital of Guizhou province in Southwest China. Guiyang Big Data Exchange, or GBDE, is expecting robust profit growth in the near future thanks to the growing popularity of data trading, said a senior manager of the company. Truck Alliance, China's online information sharing platform for freight transport, said it will expand its business in the truck services market after securing a second round of financing of up to $156 million - led by Baidu - this month. 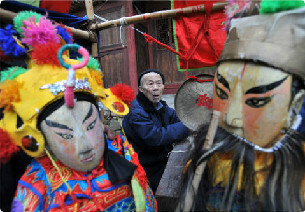 Puppet masters in Shiqian county, Guizhou province fear that the 200-year-old art form is at risk of dying out. The 2017 China International Big Data Expo will be held in Guiyang city, Guizhou province, from May 25 to 28. By promoting supply side structural reforms, the government of Guizhou province has saved 70 billion yuan ($10.2 billion) in the financial burdens of local enterprises in the real economy in 2016.